LIMITED STOCK. PRE-BOOK NOW. DELIVERY TO START FROM AUGUST 2019. AVAILABLE ON FIRST-COME-FIRST-SERVED BASIS. 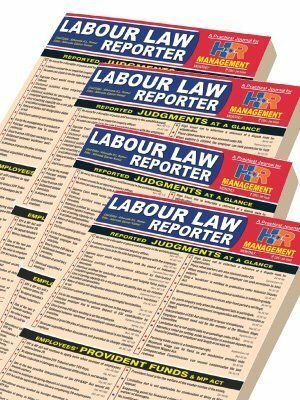 Prepared by experienced lawyers and Management consultants, this is essentially everyday companion for Captain of Industries, General Managers, HRD Executives/Company Secretaries and all those who are managing people at work. 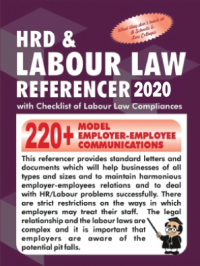 Comprising over 200+ revised ready drafted employment communications with explanations to meet everyday requirement of the employer and employee relationship i.e. 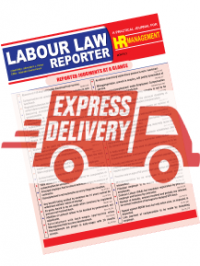 model appointment letters, agreements, service rules, charge-sheets, warnings, office orders, notices, standing orders, salient features of all the important labour laws, etc. Get detailed CHECKLIST OF MONTHWISE STATUTORY COMPLIANCE Chart for FREE with every purchase. THE DELIVERY OF ‘REFERENCER’ WILL START FROM AUGUST 2019, THROUGH ‘REGISTERED PARCEL’ BY INDIAN POSTAL SERVICE.